Army Medic Guy T. Fortney was among first Americans to witness a German Nazi death camp. At age 20, Army Medic Guy T. Fortney was among first Americans to witness a German Nazi death camp for Jews. At age 90, retired medical doctor Fortney, is waging a one-man campaign to ensure people don't forget the Holocaust against Jews took place at the Nazi's Concentration Camp North Stalag III at Ohrdruf, Germany, in the years leading up to April 1945. 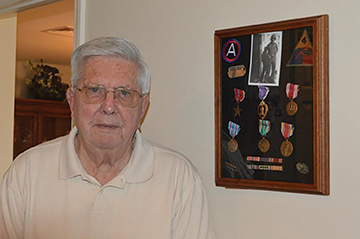 For decades, Dr. Fortney, a resident of Adams Place in Murfreesboro, did not speak of his wartime experiences with the U.S. Fourth Armored Division headed by Maj. Gen. John "Tiger Jack" Woods as Allied Forces advanced through France and Germany in the last days of World War II. 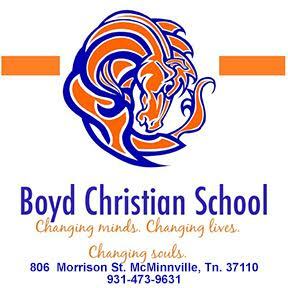 That changed, however, in 1980 when a teacher at his granddaughter Bethany Fortney's high school in Lexington, Ky., claimed the holocaust of Jews never happened ... that claims of Nazi death camp atrocities were made up to appease Jewish people in wake of WW II. That's when the former medic, who witnessed the aftermath of German Army atrocities first hand, became motivated to speak out and document the Holocaust did happen. "When my granddaughter asked if there had been an actual Holocaust, I went to my files, and showed her a book written by American newspaper reporters documenting atrocities found at Ohrdruf where we found naked bodies stacked up like cord wood," Fortney confirmed. "Unfortunately, the teacher kept his job, and continued teaching the Holocaust never happened. The book, entitled 'What They Said' and written by various professional journalists, described wartime activities of the historic Fourth Armored Division, the second unit to ever receive a Presidential Citation as we crossed through France and into Germany." Since his granddaugther's experience, Fortney has remained ready to conduct lectures and slide shows of the death camp atrocities. He's appeared at MTSU, at the YMCA, plus he's shared his historic documentation to neighbors at Adams Place. "I don't appear before little children, because I don't want them to have nightmares from what I describe," added Fortney. After the war, he returned to college to become a medical doctor in Oak Ridge, before retirement. On May 11, 1945, Army Military Correspondent Sgt. Saul Levitt penned an account of Ohrdruf for Yank Magazine, approximately one month after Medic Fortney's tank battalion discovered the death camp. Reporter Levitt described conditions in the hard-frozen death camp. "There is no death smell yet in Concentration Camp North Stalag III, in Ohrdruf. It was cold when the tanks of Combat Command A of the Fourth Armored Division rolled into this town a few days ago and it is still cold and damp. The victims had been killed (by Germans) the day before the tanks arrived, but there had been no time to burn and bury the bodies because we (American army units) had been advancing too rapidly." Fortney recalls seeing two stacks of mostly naked corpses laying exposed in the weather on the open ground. "And we found two buildings with stacks of bodies," Fortney confirmed. Reporter Levitt continued his Yank Magazine account: "Now, three days later, the bodies are still there, and it has stayed cold so you can walk around them at fairly close range. There are 31 bodies lying on the ground in one place and more than that number piled on top of one another in a shack. The bodies are all partly or completely naked. Some of their blood had made pancakes of red mud on the ground. Some of the bodies are very thin with the incredible thinness of severe malnutrition." Since this was the first concentration camp liberated by American soldiers, U.S. Generals Eisenhower, Patton and Bradley came to Ohrdruf to see firsthand the German SS Nazi genocidal atrocities. That's when Allied Force Supreme Commander Eisenhower ordered military photographers and newspapermen to record the atrocities for future generations to witness. "In observing Gen. Eisenhower in action, and his wisdom, I understood why he'd been chosen to head Allied Forces in the war against Germany," Fortney added. Reporter Levitt also described the bodies found in a nearby shack: "The victims in the shack, piled six deep, were both beaten and shot to death. The story of the dead is told by the living, who hid away when it came time to move the camp eastward by rail. There were more than 2,000 men (slave laborers) in the camp." There were no women or children in this camp. Fortney recalls the "incomprehensible" evil death scene: "Those who were killed, were judged by the Germans as too sick or too tired to climb into the railroad cars. So they were clubbed to the ground, and then shot in the back of the head, and once in the neck, to make certain their death was permanent." After the famous generals left the death camp, a unit commanding officer ordered German townspeople to come witness the carnage. After witnessing the holocaust, Combat Command A commander, Col. Hayden Sears, assembled Ohrdruf citizens to witness the carnage. "The richest man in Ohrdruf is a painting contractor who made a lot of money in the last few years on war work for the German Army, and now owns a castle on the way to the concentration camp," confirmed reporter Levitt. Someone in the crowd of Germans voiced the opinion that the atrocities were committed by "only one percent of the German Army and you should not blame the rest." Levitt recorded Col. Sears' searing words: "Tell them that they have been brought here to see with their own eyes what is reprehensible from any human standard and that we hold the entire German nation responsible by their support and toleration of the Nazi government." Following this, Ohrdruf's mayor and wife hung themselves. After Medic Fortney's unit left Uhrdruf en route to Buchenwald, while going through the city of Gotha, where the names of "Beethoven, Mozart and Brahms were set in shining gold letters across the front of Gotha's Opera House," reporter Levitt described. Buchenwald was the main death camp that supplied Jewish male slave laborers to Uhrdruf.